The idiotic people of France have elected a new President who ran as a candidate of the Socialist Party, François Hollande. The last Socialist French President was François Mitterrand from 1981 - 1995 who nearly destroyed the country and died before a corruption trial could convict him after he left office. I could care less who the French elect nor what a Socialist President will do to a country already suffering from leftist policy even after the term of the current President Nicolas Sarcozy who is considered a conservative though would be at best a moderate liberal in US politics. Where the election of a Socialist President does trouble me is when the first person to call and congratulate him, embrace his election and invite him for a State visit later this month prior to the G8 Summit taking place at Camp David, is Barack Obama. It is THEN that his election becomes a problem. Adding insult to injury follows as Hollande in a post election news conference stated that he and Obama will get along very well and work together because they, "have a lot in common," speaks volumes about the policy of Obama, how it is recognized by foreign governments and the direction he wants to take this country. When a Socialist from another country is embraced by an American President and that same Socialist states publicly that he and the American President have a lot in common it is time to be very afraid of the reelection of Barack Obama. Hollande has stated that he plans to raise taxes by 75% in France, "invest," with stimulus programs, (sound familiar), and French citizens who have been successful are fleeing the country to Great Britain to avoid what is coming and THIS is the man Obama embraces. Don't forget that during a meeting with the former Russian President Medvedev, Obama stated that AFTER his reelection he would be more flexible in disarming our nuclear arsenal, the fact that he is embracing a Socialist signals that Obama is once again showing his post election hand and his obvious plan to further take our country down a Socialist path partnering with a new Socialist government in France. 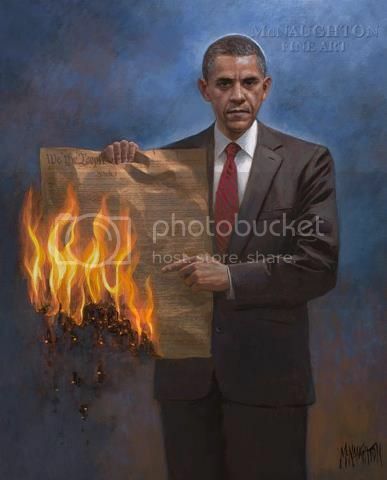 Anyone who still supports Obama knowing his Socialist policies, embracing of Socialist governments and ideas and willing to use the Office of the President to bypass the Constitution and destroy our free Republic has no clue about being a free citizen of a free country and is completely duped by the greatest flim flam liar of them all Barack Obama.